It's too easy to dismiss the effectiveness of any treatment that you don't offer. Traditional chiropractic techniques have been working for decades, why invest in more technology if you're already getting results? The truth is that a HillDT Spinal Decompression Table can offer better results for patients that have had little to no success with other treatments. Doctors utilizing the table have shared stories of a wide range of patients that were able to great reduce or even eliminate symptoms after a regular regiment of decompression treatments. 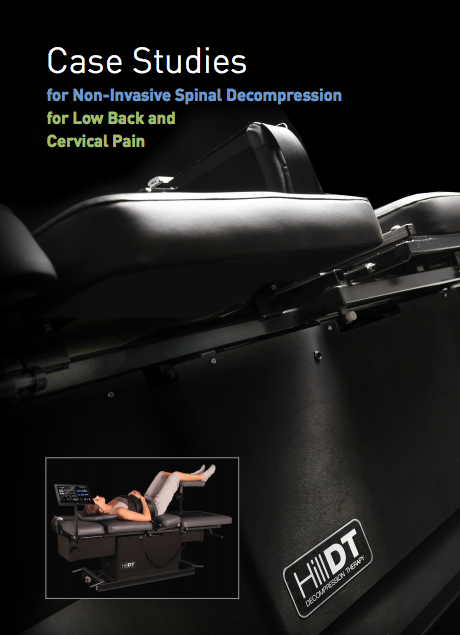 Fill out the form below to download the case studies and learn how the HillDT decompression table could help your business grow and your patients thrive.